Vault 333. Halfway between Earth’s surface and the deepest corners of Hell. When prospective dwellers arrive seeking shelter from the Wasteland with nothing but the clothes on their backs, Vault 333’s Overseer accepts them with open arms. The Overseer clothes them, arms them, gives them food and water in return for them working in one of the vault’s many operations. The dwellers thrive. They work in perfect sync. They mate. They venture back to the Wasteland to explore and forage, often never returning. They trust the Overseer to provide for them what they cannot provide for themselves. I am the Overseer. This is Fallout Shelter, a free mobile simulation game which was perhaps the most surprising announcement of Bethesda’s 2015 E3 press conference. Unlike most of its predecessors in the Fallout series (including the upcoming Fallout 4) it is not an action RPG; lacking that key element, but still containing all things familiar to fans, could Fallout Shelter even stand a chance when held against others in the series? And what about those who are unfamiliar with the series going into it? The goal of Fallout Shelter is simple: build an underground post-apocalyptic civilization in your vault to stay safe from radiation and all the nasty things that go along with it. 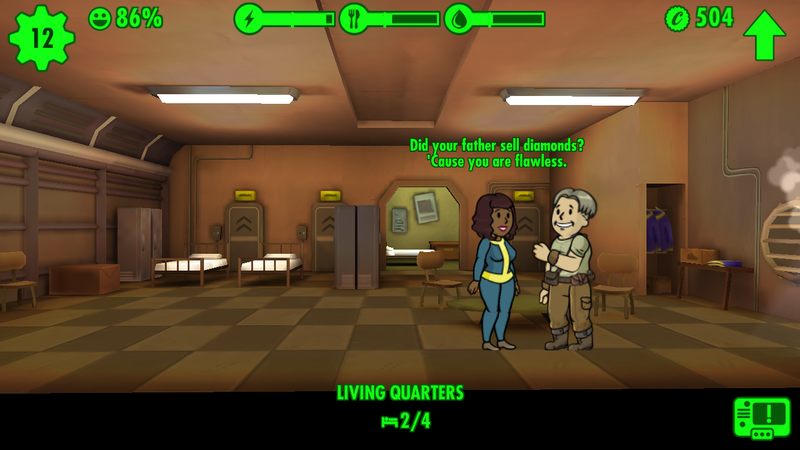 How your vault is populated is up to you: wait for dwellers to trickle in from the Wasteland, reproduce among the current dwellers (mine has developed a sort of Sister-Wives scenario with one man fathering children with multiple women, but that’s neither here nor there), or a combination of the two. Dwellers from the outside world have a chance at being a familiar face from the franchise; don’t be surprised to see James (that’s right, your dear old Dad from Fallout 3) or Three Dog (a radio host/DJ) looking for refuge (although you may have to unlock them first – more on that later). Dwellers that are the offspring of other dwellers will take on similar traits and skills as their parents. There are seven SPECIAL skills: strength, perception, endurance, charisma, intelligence, agility, and luck. Each skill relates to certain jobs. The higher the skill level, the better the job is done and the happier the person is. While SPECIAL skills are specific to the Fallout universe, the system as a whole is not unfamiliar; as an avid fan of NimbleBit’s Tiny Tower series, I’ve devoted hundreds of hours to sorting tiny digital people into tiny digital rooms based on their skillsets. In Fallout Shelter, dweller happiness relies on food (how much extra there is in addition to if there is enough for everyone) and where they are working. Having happiness rely on multiple factors adds a much-needed difficulty boost to an overworked mobile simulation game formula. And what of the dwellers with low skill levels? There is no way to evict them from the vault; it’s an annoyance at early in the game until you unlock training rooms. 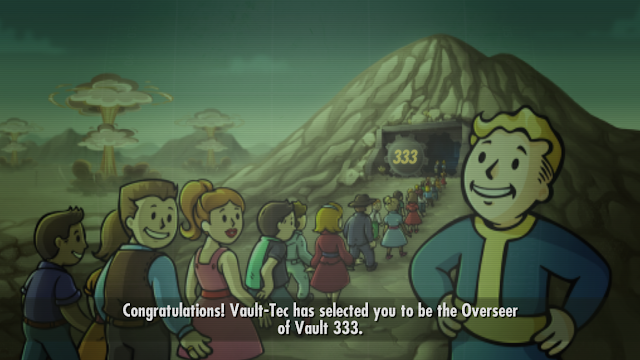 The entire game rests delicately on a balance of high skills and upgrades, so those with negligible abilities have no technical use to anyone in the vault. Unfortunately, those dwellers in Vault 333 have an evil Overseer who would rather fewer people with better skills than more people with poorer skills. As such, those with low skill levels are left to explore the Wasteland until they succumb to injury, radiation poisoning, or a combination thereof. The game helpfully asks if I’d like to revive them for bottle caps – thanks, but no thanks. Sorry, little fellas. It isn’t personal, it’s just survival of the fittest. For those dwellers that are sent out fully equipped with armour and a weapon, the Wasteland provides a place of discovery. They will fight monsters (savage dogs, radscorpions, and the like) and slowly succumb to radiation poisoning while out, but sending them stocked with StimPaks (for health) and Radaways (for radiation) allows them to stay out longer and explore farther. 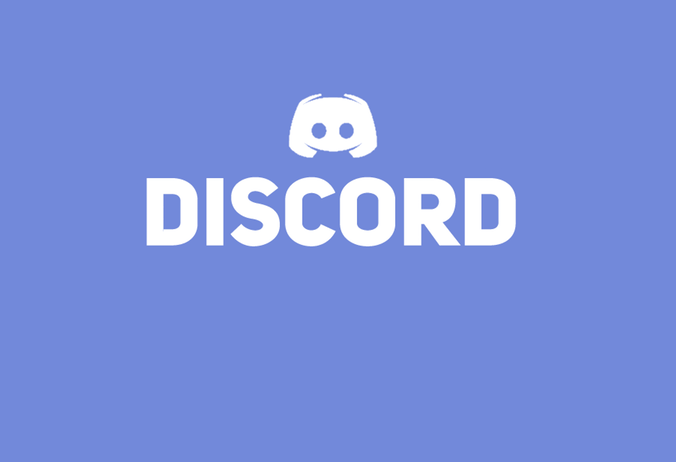 An Overseer must remain alert for the correct time to call their dwellers back though, as it takes half the time they’ve been out to return and will need enough health for that journey. Once returned home safely, dwellers bring goodies such as bottle caps, weapons, and outfits. It’s part of Fallout Shelter that brings a new layer of addictiveness as you try to collect all weapons (139) and outfits (90). The vault has the ability to be self-contained, and can produce water, food, and electricity without the dwellers technically needing to leave the premises. Water prevents radiation poisoning, electricity powers the vault (when low, rooms farthest from generators suffer first), and food feeds the dwellers. There are also rooms dedicated to creating medical packs and radiation cures, and for increasing dwellers’ base stats. Rumour has it there is a Nuka-Cola bottling plant available, but my vault dwellers have not been fortunate enough to encounter such a delight yet. New rooms unlock as you reach a predetermined number of dwellers living in your vault. 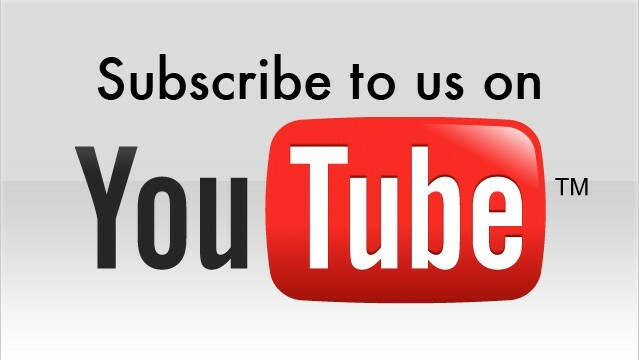 If you want to receive a production room’s goods sooner than the allotted refresh rate, you can “rush” the room. Rushing comes with a risk of an “incident” occurring, but if successful the payout is worth it. The game even tells you what the risk is before you rush; I try not to rush when there’s more than a 30 per cent chance of incident to not cause damage to the dwellers that would have to fight it (apparently I’m not that evil of an Overseer) but sometimes it’s unavoidable. An unsuccessful rush results in either fire or a radroach infestation, and in both cases you can move dwellers to the effected room to combat flames/roaches more effectively. The wonderful thing is that after the room is given the all-clear and the alarms go silent, all dwellers return to their original location: no constantly shuffling them back to their primary room. Rushing a room is not the only cause of incidents – they can also occur randomly, so it’s important to keep a keen eye over everything (keeping the sound on helps because you can hear the alarm go off). 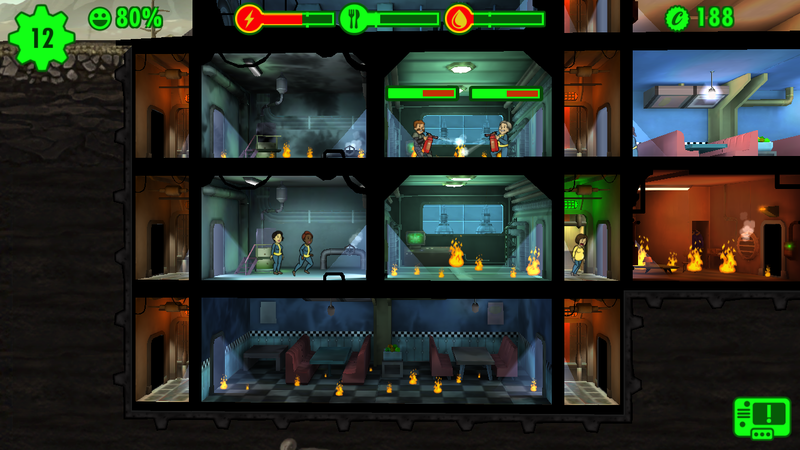 Other than incidents, the main threat to your vault security is raiders. Raiders are thieves that come in from the Wasteland after breaking down the vault door. Your supplies will drain as long as they are alive in your vault. By upgrading your vault door it will withstand attacks longer, allowing you to do your job as Overseer and get your strong defenses up front for battle. Upgrading your vault door requires the game’s currency, bottle caps (a familiar concept in the world of Fallout, I have learned). Bottle caps can also be used to purchase new rooms and upgrade rooms to be more productive. There is never a shortage of currency to be earned in the game as bottle caps are given for almost anything, including but not limited to selling items, leveling up, exploring, and completing tasks. Tasks are also sometimes rewarded with lunch boxes. Lunch boxes each include several random items, such as dwellers, special dwellers (21 total, such as James from Fallout 3), supplies, and bottle caps. 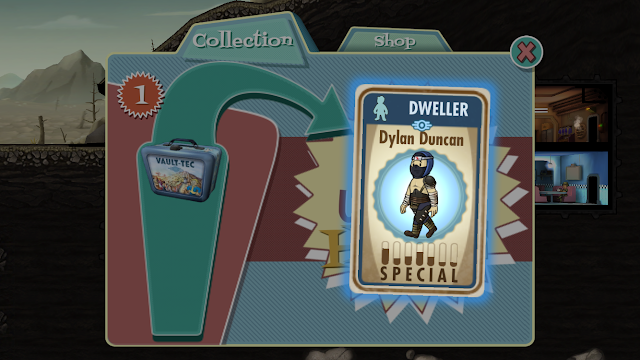 Lunch boxes are the only place the game will ask for money, and that is only if you want more lunch boxes than what you can earn through progression; at no point in time does Fallout Shelter force you to spend money to fully experience the game. Fallout Shelter is a beautifully designed game graphically, musically, and based on usability. Most importantly, there is no advertising. I repeat: NO. ADVERTISING. Zero. Zip. Nada. Not once will you look at anything other than the game itself. Three shelters can be saved per device, each being identified by the three-digit number chosen by the Overseer at the start of the game. There are reports of tons of 420s and 666s, of course, but when choosing my vault name I made it personal (as someone who believes in the paranormal, 333 is incredible significant). 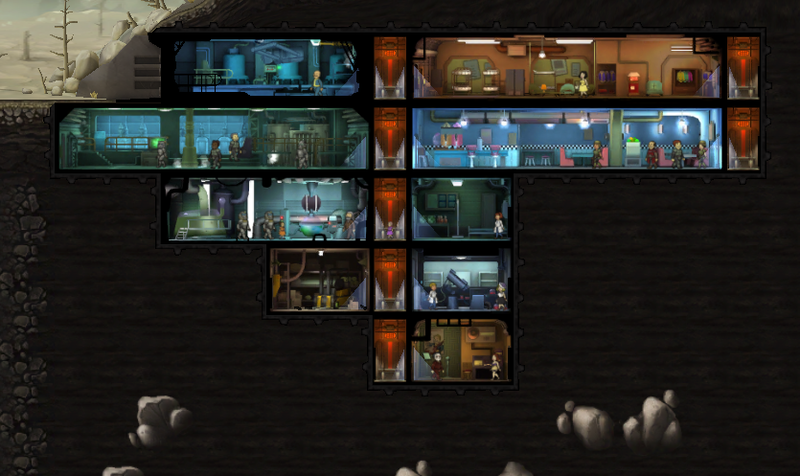 Once in your vault, it is easy to sort your dweller list by name, level, highest special level, happiness, status, or job. When you zoom out enough it locks into a 2D mode that allows for easy scrolling as well as helps with spotting any wandering unemployed dwellers. There are several settings that can be changed: the usual sound, music, and notifications, as well as something labeled as “cam sens” that I assume is a camera sensor. By default, the game features Parallax-like movement that shifts the view based on your device’s position. Turning “cam sens” off stops this, which I find really helped with battery life (because is it ever suffering lately). Of course, there are a few annoyances with the game. Sometimes, a dweller’s health bar gets stuck over their head and can’t be cleared, leaving me to force-quit and restart. As any Overseer knows, this is a waste of precious time. There are also some graphic issues on the numbers at the top of the interface, with the outlines being especially choppy around certain numbers and the percentage symbols. Notifications don’t clear automatically when the game is opened, which isn’t uncommon (looking at you, Instagram) but is annoying nonetheless. As far as grievances go, you can see I’m grasping at straws to find any. The sun is setting outside Vault 333 as it sets outside my own apartment. My performance report in Fallout Shelter says I’ve earned a B. Not bad for day two. As I prepare for bed, I set an alarm. Not for morning, but for the middle of the night when one of my dwellers is due back. A good Overseer never lets their guard down. That is how addicting this game is. In fact, it was even difficult to write this review because having the game open led to constant distraction and a compulsive need to fiddle around. It one of the most immediately playable games at release I’ve ever encountered, with very few bugs or design flaws. You, dear reader, now have the power to become an all-powerful Overseer yourself. It would be a mistake not to. Item Reviewed: Review: Fallout Shelter (Apple iPad) 9 out of 10 based on 10 ratings. 9 user reviews.